A new communications technique could pave the way for ultra-low power and high-security wireless communication systems. Electrical engineers at the University of California, San Diego have demonstrated a new wireless communication techniquethat works by sending magnetic signals through the human body. The new technology could offer a low-power and secure way to communicate information between wearable electronic devices, providing an improved alternative to existing wireless communication systems, said the researchers. 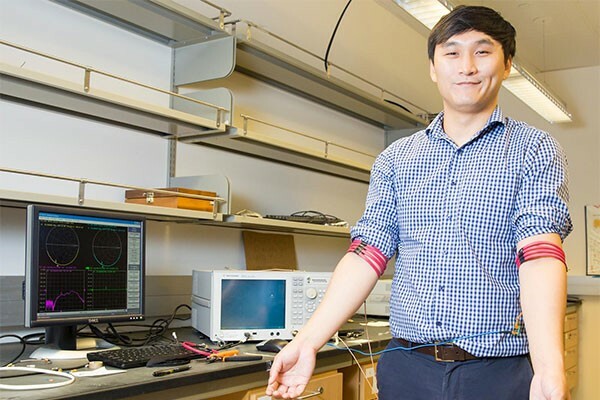 While this work is still a proof-of-concept demonstration, researchers envision developing it into a wireless system that can transmit information around the human body. An application of this technology would be a wireless sensor network for full-body health monitoring. “We’re trying to find new ways to communicate information around the human body that use much less power,” said the university. WhichVoIP.co.za is South Africa’s leading Telecommunications website, now offering PBX / Switchboard Comparisons on leading vendors such as Mitel, 3CX, Samsung, Panasonic, Far South Networks, BitCo and more. Business VoIP, Hosted PBX, Fibre and Wireless connectivity provider listings include amongst others AVOXI, MTN Business, Internet Solutions, Voice and Data, Telviva, iConnect, Centracom, and many others, which can be compared in a side by side format. Those interested in empowering themselves prior to engagement stand to benefit from our how-to guides, pros, cons, and things to look out for when embarking on a telecoms project.